McFadden, Isobel. 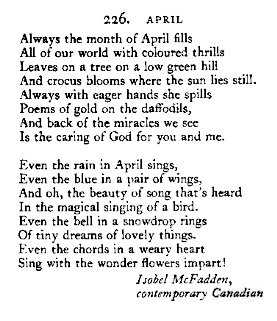 “April.” Morrison, James Dalton, ed. Masterpieces of Religious Verse. Ed. James Dalton Morrison (New York: Harper & Brothers, 1948): 74.